Heat shrink tube offers a premium method of labeling wires and cables. Simply slide the tube onto the cable and shrink snugly to the cable using a heat gun. Labels will never fall off. 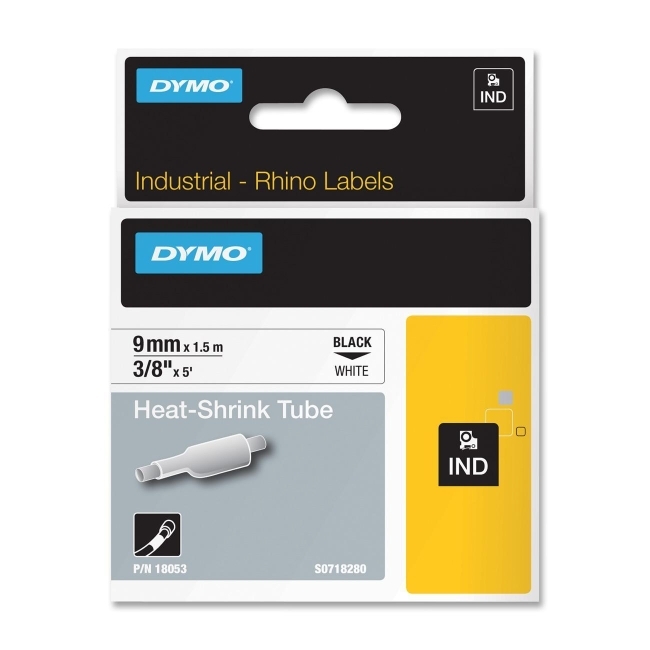 The cassette fits into all Dymo Rhino printers including 6500, 6000, 5200, 5000, 3000, and 1000. Industrial-grade polyolefin offers a 3:1 heat shrink ratio and the convenience of printing directly on the tubing itself.